Municipal agencies face a variety of challenges when it comes to planning and executing successful projects: everything from making the most of limited taxpayer funding, to ensuring the proper level of transparency, to serving citizens as effectively as possible. In order to address these different challenges, municipalities need to make sure they are investing in the best technology available to them. An example of a technology that can help municipalities get better results from their projects is LiDAR, or light detection and ranging. With Terrestrial LiDAR, also known as 3D laser scanning, municipal organizations can get highly detailed and accurate mapping information, which can provide them with a number of different benefits. Simply put, LiDAR is a method of gathering data about distances using lasers. When using LiDAR, a surveyor would set up a laser scanner that emits a series of light points. These points will then bounce off an obstacle and then return to the scanner. As the light points return, the scanner can gather very detailed information about how far away the obstacle is based on how long it takes for the laser points to return. By combining many different data points into a point cloud, surveyors can build a very detailed representation of the building or terrain that’s being scanned. In turn, the organization can then use the point cloud to create detailed 3D models, which can serve a variety of different purposes for development and maintenance projects. How Can LiDAR Benefit Municipal Agencies? Although LiDAR can offer benefits that stretch across industries, there are a number of reasons that it’s a particularly good fit for municipal projects. Municipal projects must take their funding directly from the taxpayers of the city, which in turn makes it very important to make the most of that funding when pursuing major projects. LiDAR provides a relatively inexpensive way for municipal agencies to gather the data they need quickly and can also cover large areas with ease. In addition, the level of detail and accuracy that LiDAR scans can provide helps ensure that all projects can proceed quickly and smoothly. After a quick review of the point cloud, a project manager know exactly what they should expect before the project even gets started. 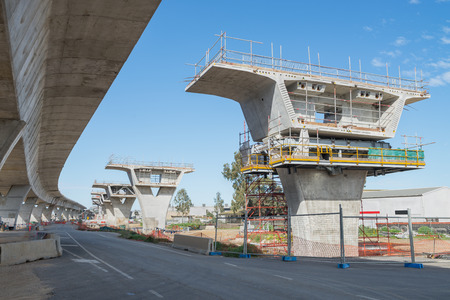 This removes the potential for major delays later on in the project, which can add unexpected costs to the bottom line. Every municipal project requires a high level of communication and data sharing in order to keep key stakeholders and contractors informed about what’s going on. Shared LiDAR data simplifies the process of compiling data, so that the project team can focus more of their time on actually designing and executing the project plan. Having a centralized shared site (link to: with a screenshot below as well) to share this data is extremely important. If a municipal agency uses LiDAR to support a specific project, the value they can extract from that survey is truly limitless. Users are only beginning to scratch the surface when it comes to finding new uses for LiDAR scanning and the 3D insights it provides. It’s no exaggeration to say that just about every agency within a typical municipal government can find some use for the valuable data turned out by Terrestrial LiDAR scanning. Once the results of these scans are added to government records, they represent a treasure trove of insights that’s waiting to be unlocked at any time. 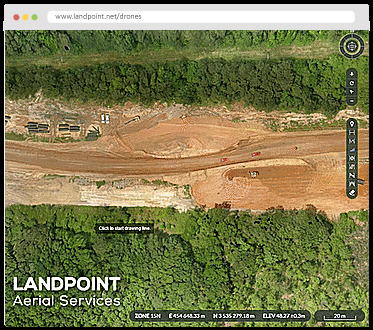 To learn more about how LiDAR scanning can benefit municipal agencies, contact Landpoint today.